Bollington Aqueduct carries the Macclesfield canal 60` up as it passes through the village. When you look at the embankment each side of the Aqueduct you realise it wasn`t just a matter of digging a trench and filling it with water, the embankment is man made to enable the canal to be as lock free as possible and standing on the boat cruising along although you realise the canal is high above the houses and industrial units it`s not until you take a picture like this you realise the effort that was made to achieve keep the locks to a minimum. View of NB Valerie from the top of White Nancy. One of the Quarries along the ridge. Video was shot from the top of White Nancy in Bollington. One thousand feet above sea level you can walk from Nancy along Kerridge Ridge and still see stone quarries in action and the views are stunning. Still trying to get my head around this You Tube thing. The piece of video above, hopefully it will be there and play, for some reason suddenly took the place of the Bugsworth video on the blog....strange but it`s probably me doing something wrong.Anyway it`s been deleted and appears here so we will see how things go now. Away from Bugsworth and just a short trip down the Whaley Brdg. arm to have a look around and visit Mr. Tesco. Moorings for visitors are very sparse with the greater part of the towpath being long term moorers only but i managed to find a spot after asking a boat who was just mooring if they would move along 15`, why do people insist on mooring in the centre of a gap and then preventing another boat mooring. Above the basin at Whaley and it seems they were expecting me as i could hear a band and the marquee was up. The old transhipment warehouse built 1832 and now grade 2 listed. The Cromford and High Peak railway had tracks going into the shed and below from the basin the tracks can still be seen leading to the Mill. and this fine Steam traction engine plus a few stalls made the short visit all the more enjoyable. Going back to the Bugsworth blog i made a note but what with the U Tube trouble i forgot to include some stone transport costs. 13p and £2. 92 1/2p are the 2009 money approx. conversions. Young ones in the days it was 12d(pennies) to a shilling and 20 shillings to a pound. A pound was 240d(pennies) to a pound unlike now 100p to a pound. Do you know folks typing this i think the decimal money is easier for the kids to get to grips with. Remember back in 1960s half a crown in my pocket as a 12/13 yr old and i was well off. Sorry but this You Tube is doing my head in so let me know if you can play the video as i`m not sure what is happening. How wonderful the technolodgy if you can work it. EDIT: Now the other video has decided to work, oh well. Bugsworth Basin opened in the early 1800s and for a hundred years it was a busy port for shipping stone and lime. A tramway system stretching many miles into the hills was constructed to bring the stone from the quarries at Doveholes and Barren Clough. The stone would either go into boats or the Limekilns where it would be heated and the burnt lime would be used for adding to soil on farms or making mortar for building. Other goods shipped into the basin would be coal to fire the kilns, raw materials for the Mills would be carried on the Tramway back up the hills. When walking around the basin today with hardly a sound to be heard you can only imagine what it must have been like with smoke belching from the kilns the noise of the tramway trucks rolling in from the Quarries, the Tipplerhttp://www.brocross.com/iwps/pages/legacy.htm chains clanging as they tip the loaded wagons out, the stone crusher shed that produced ballast for the growing raiway network. When the basin finally closed in 1927 the buildings were demolished for the stone to be used for other buildings, re-cycling is not a modern day invention. Stables,wharehouses,blacksmith shop,lime sheds with undercover loading for boats all sadly gone. Worst three of the four bugsworth pubs gone with only the Navigation still in place to quench your thirst. The Navigation was once a farm and in the not so distant past was run by Pat Phoenix 0f Elsie Tanner/coronation St. fame. The basin was the scene in 1898 of the murder aboard a narrowboat by John Cotton of his wife Hannah. Arrested in October and hanged in December at Derby justice was swift. The links are not working properly so try these. I FANCY A RANT after all it`s my blog. What on earth is going on in the world that you the reader lives in. 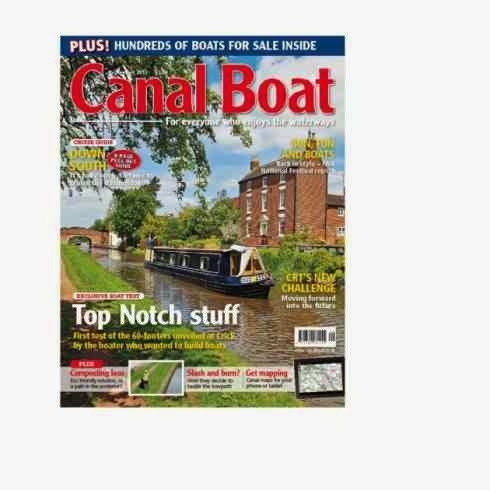 I ask because having just purchased one of the monthly waterways mags it contained a report that an MP asked if he could claim for blacking his narrowboat, i kid you not have a look here. They are all a bunch of Leeches and i for one am glad i haven`t voted for about 6 yrs now on the basis that as far as running the country there was not a difference between them. The Daily Telegraph exposure that started with the `John Lewis` list and moved onto the weird expenses claimed by MP`s has made up my mind i that i made the right decision. Some might not agree but but i defend my right to be wrong in the eyes of others. There are a lot of people, and i`ve met some when i was working, that spend Mon-Fri living near their work far from home and travelling home for the w`end to be with family, and these are PAYE not S/employed. It would be nice if they could claim for renting or buying a second home but oh no because they choose to work far from home to support their families and pay the mortgage and not be dependant on benefits.......tough. But if they were MP`s not only would they get a second home but also the weird and wonderful expense claims on top. Check through the Telegraph site the claims are mind boggling. I know some have to stay near Parliament at times as distances can sometimes be great from constituency's but there is a limit and for those living not too far why should they claim at all, just think of the thousands that commute into London and other big cities on a daily basis. OK rant over but the narrowboat claim started me off and i bet he wasn`t living on it. You know i hardly ever buy a newspaper nowadays, never bother with the weather forecast because if i don`t want to cruise in the rain there`s always tomorrow and hardly watch the TV news because well just think about what you see on news at ten tonight how much if any would have affected your life if you hadn`t watched it. Maybe my outlook on living is not to everyone`s taste but i`m happy with little pressure of the away from the canal world. All comments welcome and as usual will be published if not offensive to anyone. Back to life afloat and i have just had to replace my domestic battery bank after nearly 4 yrs of use. I noticed the lack of power left in the batteries over the last 2 mornings and after using the Internet located a supplier who would deliver to the boat at a reasonable price although it meant turning back to cruise for an hour to a convenient location near a road which on this occasion was a BW maintenance yard. Today i spent 5 hours removing the old batteries and rubbing down and painting the battery bay. Each battery weighed in at 41 kilo and i sure did notice i wasn`t getting any younger as i struggled to heave them in and out of the engine room below decks. Still after a good shower and a cuppa it`s all now in the past......job done and now plenty of elektricererrery! I am now on my way back down the Macclesfield canal having been to Bugsworth Basin and Whaley bridge at the end of the Maccie. I am thinking of doing a picture show for the Bugsworth blog as i took so many pictures of what turned out to be a very interesting place and as the Internet signal is so strong all along the canal in this area it should not be a problem loading it onto the blog. Ongoing plans are to leave NB Valerie in a marina mid July as one of my Sons is getting married and i want to spend a week or so down south. After that i`ve not quite made up my mind but a trip to Stourport is in the brain box so who knows.....watch this space. The picture below shows the Jct. of the Macclesfield & Peak Forest canals and i have turned right under the bridge and moored up to have a walk down the 16 locks taking the Peak Forest canal down 214` that`s an average 13` per lock all just within a mile. The flight is mostly set amongst trees and makes a really nice stroll on a warm afternoon with a few things of interest to see. The junction, the Macclesfield left under the bridge and to the right the 16 locks. Just 3 locks down and it`s getting interesting with the horse tunnel and just to the right you can see the even smaller tunnel for the boater to get up to the lock from under the road bridge. Close up of the boatmens tunnel. Samuel Oldknow`s warehouse with arched access for for boats to enter for loading. The wooden roller that stops the tow line of horse drawn boats rubbing on the stone, very similar to the metal bars on the bridge arches. Looked at this for a while trying to work out how the horse could pull the boat through but now typing this i am thinking the rope was fixed about halfway back on the boat so the horse could get the boat moving un-hitch and meet the boat on the other side. Coming the other way, from the towpath top of picture, the horse would un-hitch and the boats momentum would carry it into the lock where the horse would again tow the boat out and onto the next lock. All sounds like hard work but i bet those old boatmen made it all look simple. 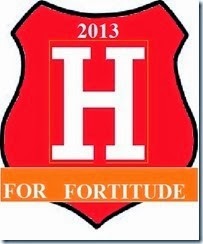 Anyone who thinks i`ve got it a bit wrong please comment as i`m always ready to learn. The lockeepers cottage built 1834. The last 3 pictures were all between 2 locks so a very interesting short stretch of canal. No walking across lock gates on this flight as a bridge is provided. the picture and so i took a close up. It gives the appearance of a brick built arch being clad in stone which seems a lot of work just to make it look nice, assuming that it was stone faced when built. Have to see if Mr. Google can come up with the answer. So that`s a walk down the lock flight just got to walk back up now and have a nice cup of tea and a piece of cake........i know but someones got to do it. as cruising along a lot is hidden away and it pays to read up on the area before you pass through. All that remains of Higher Poynton Stn. on the old Macclesfield to Marple railway line are the 2 platforms. This is now part of the Middlewood way offering a 10 mile traffic free route for walkers, cyclists and horse riders and as you can see in the picture the old trackbed has become a picnic area. visitor centre that looks shut but is un-manned so just pull the door and step in. canal arm that went into the pit is still there. Now it is the home of Braidbar Boats. Fri,Sat&Sundays but at least i saw one engine standing proudly by the gate, bit big for the boat so i`ll not be making an offer for it. museum just about a 10 min walk. this fine old building for a fast profit........you know what i`m getting at. Never needed drugs in my time a few beers got us in the mood for a party or a club and a good night out. See i start researching the picture find this druggie thing, off i go and canals get lost along the way. At Marple the canal becomes the Peak Forest Canal and i turn right along the upper Peak Forest towards Bugsworth and Whaley Bridge but 1st it`s nearly lunchtime and i want to walk down the lock flight so what better than to moor with the view below in the direction of the Peak District. The peace and tranquility of a life afloat is reflected as i cruise the Macclesfield through mostly open countryside with just a flight of 12 locks with wonderful views to do before i reach Bugsworth & Whaley Brdg. 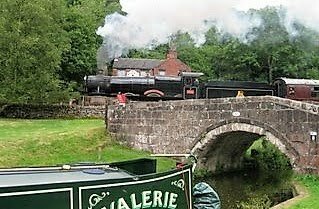 The maccie opened in 1831 and is 27 miles long and once the locks at Bosley have been negotiated you are on one of the highest navigable lengths at 518` above sea level. It`s route was planned by Telford and built by Wm. Crosley as a short cut from Manchester to London but gave good service to the mills and mines along it`s route. All the bridges are of stone rather than the more common brick construction and the aqueducts, cuttings and embankments plus not forgetting the six snake/turnover bridges all come together for a very enjoyable cruise. The miles pass marked by these gravestone looking mile posts. All with the exception of 3 were restored by the Macclesfield Canal Society in the 80`s after being buried in WW2 so as not to help enemy forces. The 3 lost stones were replaced with local cut stone. The scenery gets better as the canal proceeds west of the Pennines. About halfway up the flight, this must be better than climbing the locks out of Manchester. 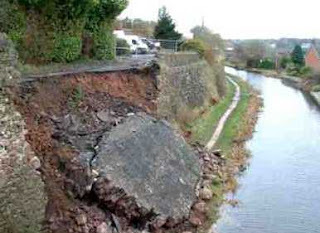 The high retaining wall just before Macclesfield collapsed in March 2008 and although the towpath is still closed good progress in the re-building has been made. Evidently there is an access road at the top and several vehicles were stranded after the collapse. vehicles stranded and the towpath blocked for all except the local rock climbing club. Just past the collapsed wall rounding a bend and the magnificent Hovis Mill comes into view. Built in 1820 now converted to flats with a 4th floor 2 bedroom fetching around £125K. Flour was milled here until 1904 before being transferred to Manchester. On the lower level can be seen the arch that allowed boats to enter for loading/un-loading. Having passed through Macclesfield and seen the limited moorings i`m glad i decided to stop at Oakgrove Bdge 49 and get the half hourly bus into the town, the bus stop is next to the electric swingbridge. Above Adelphi Mill at Bollington that produced not flour but silk now converted to small office units and below Clarence mill produced textiles and is now small manufacturing units. Above my mooring for a couple of days just before brdg 15 at Higher Poynton where the canal has widened due to subsidence from coal mining. This is Poole Aqueduct and i am on the Macclesfield canal crossing the Trent & Mersey canal. The T&M has brought me up through the lock in the picture plus a second around the bend in the distance after which 2 right hand turns brought me to here so i am now some 20` above the T&M. The last lock was a nightmare as the bridge by the lock was so low i quickly had to reverse the engine or the tail on the wind genny would have been badly damaged. After removing the tail i found i had no drive and on investigating down the weed hatch found a full length ladies dress around the prop. This i managed to remove quite easily owing to the experience gained all my adult life....if only it carried on in my old age. Within a mile the first lock is just a stop lock with a rise of a few inches. Originally there were 2 lock chambers here which accounts for the extra narrow section behind NB Valerie. The reason was the nearby Harecastle mines would discharge a lot of water making the T&M level higher than the Macclesfield so the second chamber only allowed enough water for a boat to enter the Maccie and not a continuous flow. Very possessive of their water were the canal companies in those days. Around the corner the first swing bridge, nice and easy with a quick push from the towpath side and pull it back as you pass through. Mr Heron wading through shallow water looking for lunch. Usually they are on the bank so this pic made a nice change. Snake, Turnover or Roving Bridge i`ve heard them called but whatever the name the idea was good. At this point the towpath changes sides and in days gone by a horse would come along the towpath on the left and with the rope still attached to the boat walk over the bridge onto the other path and carry on pulling the boat through the bridge `ole. philosophy is "there`s always tomorrow" so why stand on the back in the wind and rain. go up the Macclesfield and Lower Peak Forest canals. This fine canal building some 200 yrs old survives converted to flats stands just to the north of Preston Brook Tunnel. Got to use your imagination here but believe me as i came under this bridge a Fox trotted across and halfway stopped and watched me pass by, as i grabbed the camera and looked back he had gone. He actually stood his ground as i passed under him just a few feet away. Cunning old Fox knew i couldn`t get to him. Another nice mooring above the R. Weaver at Acton Bridge. Many narrow boats trade on the canals and these 2 were moored in Middlewich, the first one sells cheeses and the other home made Fudge. Aaah Bisto. 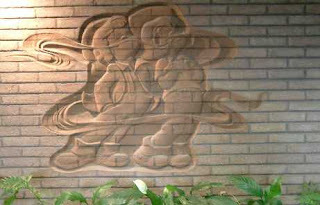 This brick sculpture was on display in the Bisto factory reception area canal side at Middlewich. Sadly the factory is now being demolished with nearly a thousand jobs lost. Nb Valerie sits in lock 66 at Wheelock. All the locks along this section are paired but some are in a bad state and not in use although BW are getting some back in use. A lovely end to another day with the still water acting as a mirror as the sun goes to bed. Still following Mike Perham on his solo round the world trip. Out in the Pacific Ocean on day 100.
of Sooty Fame.Matthew has now retired Sooty but still performs on the hands of Richard Cadel. Lymm and the Dam can be accessed down the hill to the right via a footpath. 1824 when the Turnpike trust was granted permission to charge tolls. Originally the scene you see in the picture was just a stream flowing through a valley with a path leading to a small footbridge across a stream. The Trust built a road and new bridge and the stream became the lake. The present bridge was built after WW1 by a new landowner. The road is now the A56 and from both sides of the bridge the road climbs out of the valley. Warrington Council manage the Dam and good walks can be had all around it.